Looking for something different to serve on Valentine’s Day? Give these recipes a try. Popcorn Balls and a Tangerine White Wine Spritzer are easy, fast and refreshingly delicious. 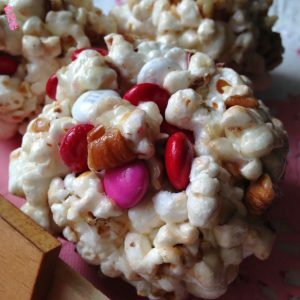 The sweet popcorn balls are made with SkinnyPop brand popcorn, chopped toasted pecans, red hot candies, mini marshmallows and valentine m & m chocolate candy. Butter, oil and more mini marshmallows are melted together and poured over the popcorn mixture. 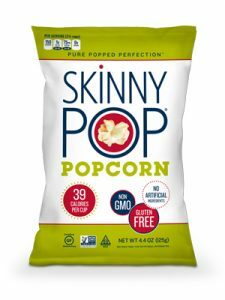 Form into popcorn balls and enjoy! Now on to the Tangerine White Wine Spritzer. Not much to it really. Make sure the wine and soda your using is super cold. In fact, the colder the better and ice is a must here too. Spritzers are meant to be served icy cold, making them refreshing and irresistible. We used a Late Harvest Riesling, from Columbia Valley which has a sweet, balanced flavors of apricot, orange zest and honeyed lemon. The sparkling water we used is a tangerine-flavored sparkling water. Want to make this Valentine’s Day super special? 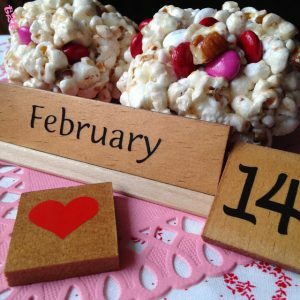 Make your sweetheart some popcorn balls made with Skinny Pop Popcorn, a refreshing Tangerine White Wine Spritzer and watch the sparks fly. An usual combination I’ll admit, but delicious all the same! Popcorn Balls are Pure Joy. In a large bowl, combine the first 5 ingredients, mix well and set aside. In a large saucepan, combine butter, oil and 16 oz package mini-marshmallows over medium low heat. Heat and whisk together until smooth. Pour over popcorn mixture, mix well. When cool enough to handle, shape into popcorn balls. Let stand at room temperature until firm before wrapping in plastic wrap. 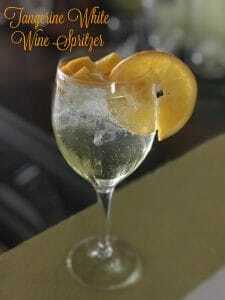 A wine spritzer is the perfect refreshing drink to enjoy on a hot summer day, over brunch with friends, or to relax by the fire on a chilly evening. It’s light and delicious. What’s not to love? Your basic wine spritzer has three simple ingredients: Wine, (white, red or rosé) Soda, (club, sparkling water or lemonade) and Ice, (crushed). As you can see from this list of ingredients, wine spritzers are incredibly easy to make. Spritzers are the perfect summertime or anytime beverage. If you enjoy a classic drink, this spritzer recipe is for you. 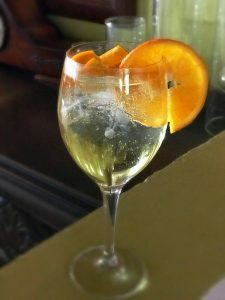 With a light, fruity white wine and a splash of tangerine sparkling water, this spritzer is the perfect way to relax on the weekend. 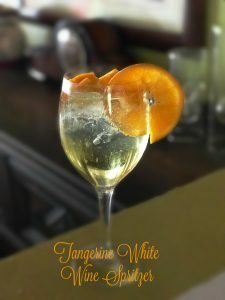 A light, refreshing and delicious white wine cocktail. Place the white wine and soda into the fridge to chill for 30 minutes before mixing. Fill your wine glass half-way with ice. Pour wine into the glass, add club soda, and stir gently with a straw or stir-spoon. Garnish with a slice of tangerine or orange slice and enjoy.